Another great comfort food for game day and those cold winter nights! Everybody loves meat balls! Swedish meatballs are famous possibly because of IKEA . Better than Swedish meatballs are Finnish meatballs. I make them in quantity, serve them or make ahead and freeze until the big event! Deeeelicious! 1. Soak the bread crumbs in cream. 2. 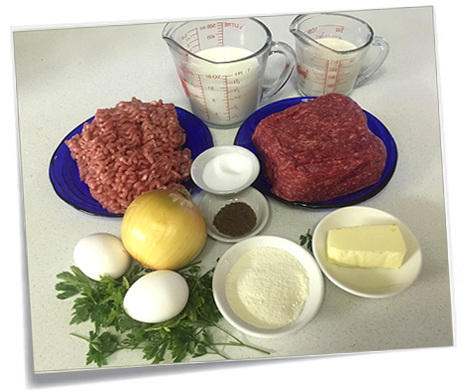 Mix together the ground beef, ground pork, minced onions and soaked bread crumbs. 3. Mix together the beaten eggs, salt, allspice and minced parsley. Add to the meat mixture and combine well but do not overwork. 4. With about 1 teaspoon of the mixture, form meatballs avoiding “packing” the meat, which makes for tough meatballs. 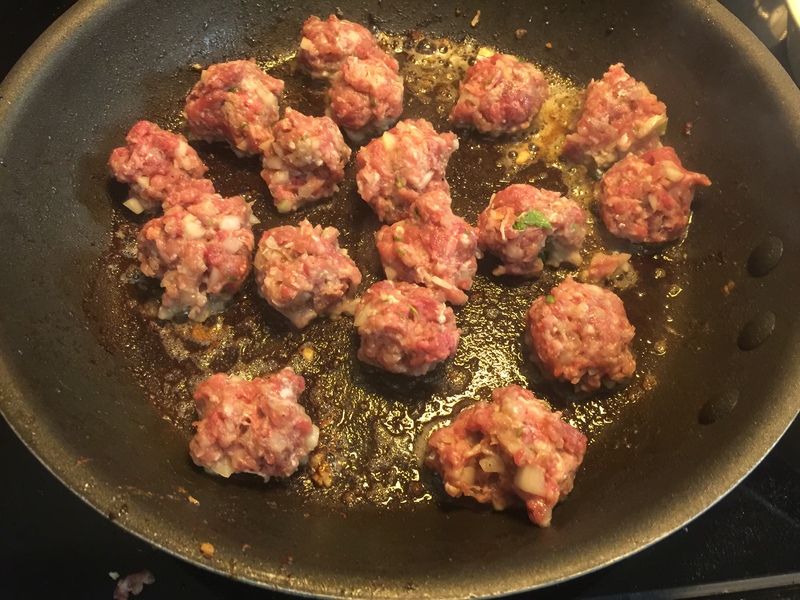 Melt butter in a frying pan and put in the meatballs a few at a time. Shake the pan to swirl the meatballs, cooking them on all sides. 5. After all the meatballs are fried return them to the pan and cook another 25 minutes or alternatively place in a 300F oven for 25 minutes. WHITE SAUCE: You can add a few tablespoons of flour to the drippings in the frying pan, cook and then add a cup of milk to make a white sauce to serve with the Finnish meatballs*. BROWN SAUCE: is served with Swedish meatballs. 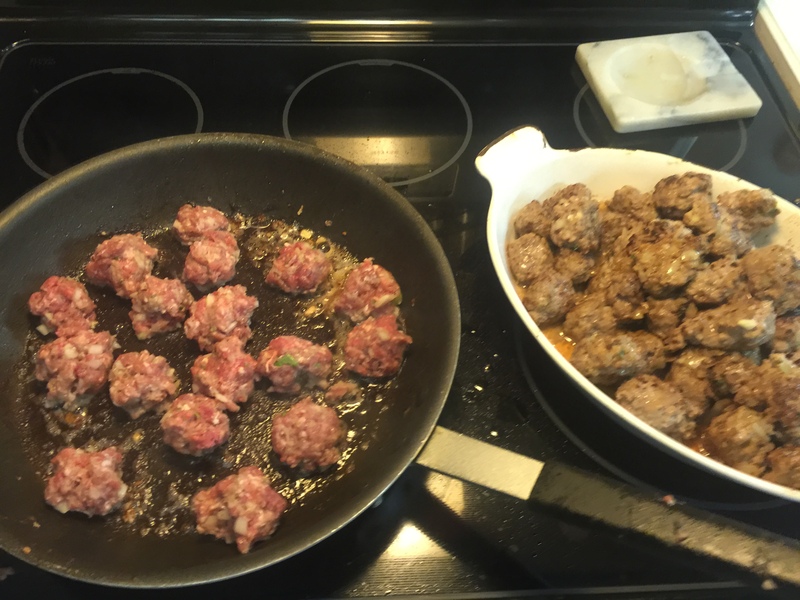 *The single addition of the ground allspice is what really elevates the Finnish meatballs. These Finnish Meatballs Are Rough Looking Because They Are Soft And Tender As Any Tenderloin Steak! SERVING SUGGESTIONS ( TIPS ): As a main course, Scandinavian MEATBALLS are classically served with lingonberry preserves, cucumber salad and dilled or mashed potatoes. For a crowd of people, you can serve these savory meatballs as a snack or an appetizer. 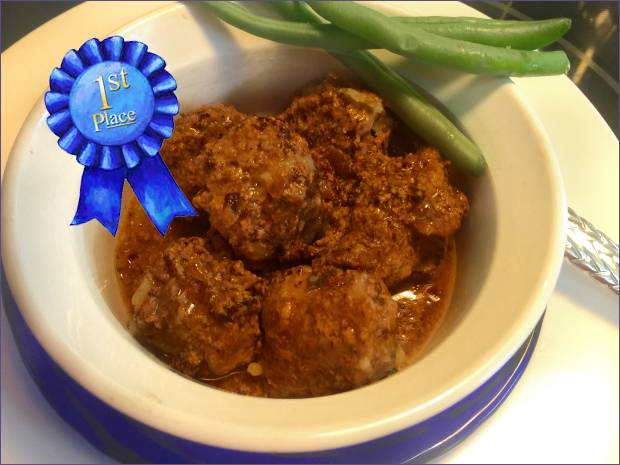 You simply leave the meatballs in a slow cooker for hours and let people help themselves. Place shish kabob fine wood skewers in a glass next to the meatballs. Let people help themselves. Include assorted raw vegetables as finger food; sticks of raw celery, carrots, bell peppers (not ghost peppers), cucumbers and green beans (slightly blanched). 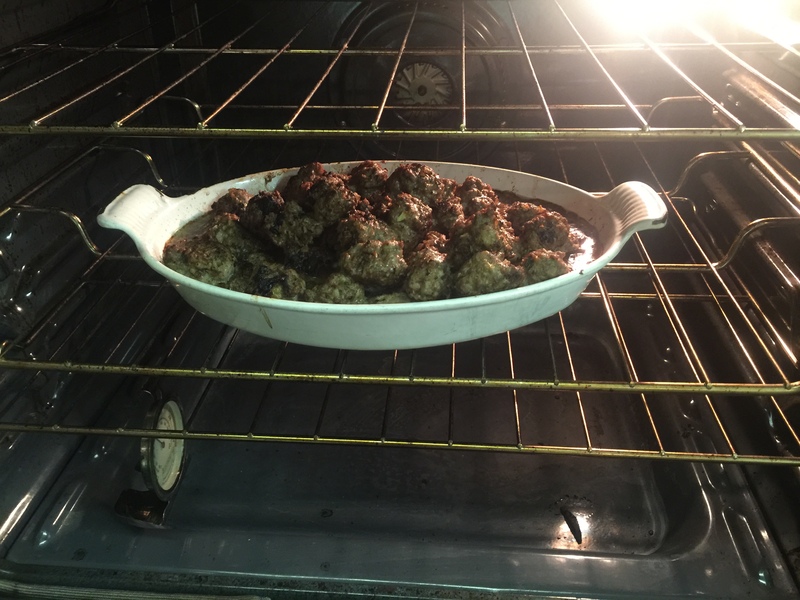 If you make the meatballs ahead of time, they are just as tasty reheated on game day! These meatballs are high in protein and will keep you going for hours. VARIATION: Mix chopped spinach into your meatball mixture before constructing the meatballs. Once I tried it for fun and I got future requests. It’s actually quite good! Do you have garlic smell on your fingers when you have finished handling garlic while cooking? Or, onion odour on your fingers after chopping onions? 2) Purchase a stainless steel bar and wash your fingers gently with this bar. 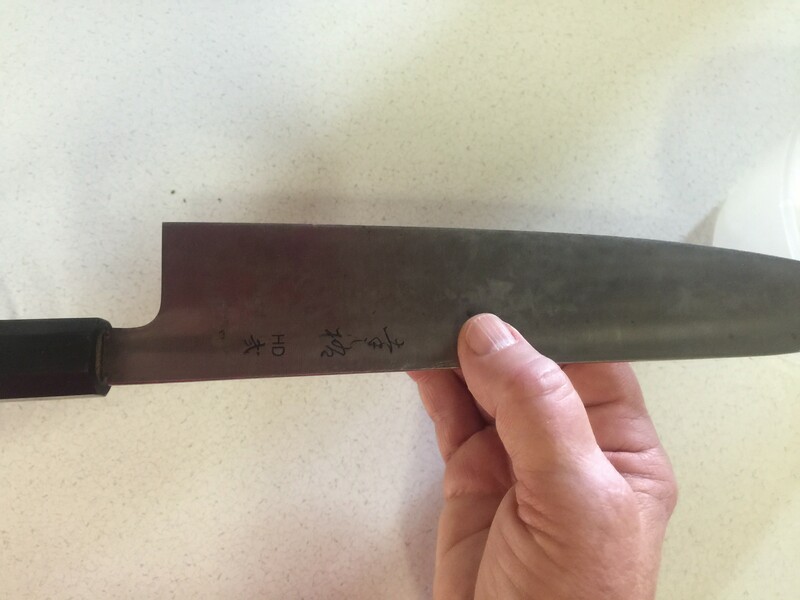 3) Rub your fingers along the back of your stainless steel knife. Pick no 3. Rub your fingers along the back length of the knife! Grasping the knife with all 5 fingers ~ see diagram . You’ve got a knife in your hand anyway. You will save on the cost and having to store the stainless steel bar or won’t be scrubbing your skin until it’s red. Your fingers will be immediately wonderfully odourless! It only take a second. Oh do I love this!!!! Thank you! I am happy to share these “Helpful Hints”.